Photos provided by Ron Adams. 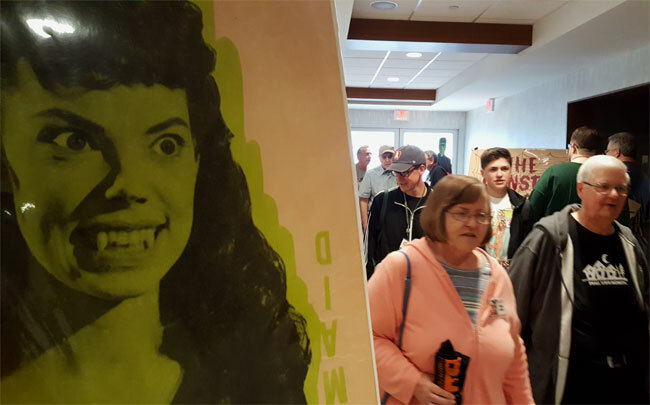 A seven foot monster from THE BRIDE OF FRANKENSTEIN designed by Bill Luciani and Tony Pitocco. 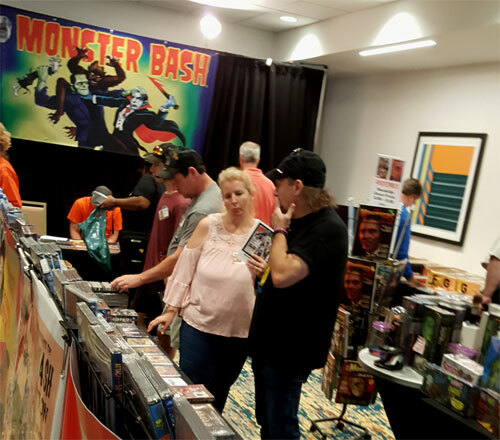 Happy monster movie fans ready to start a new day at Monster Bash! 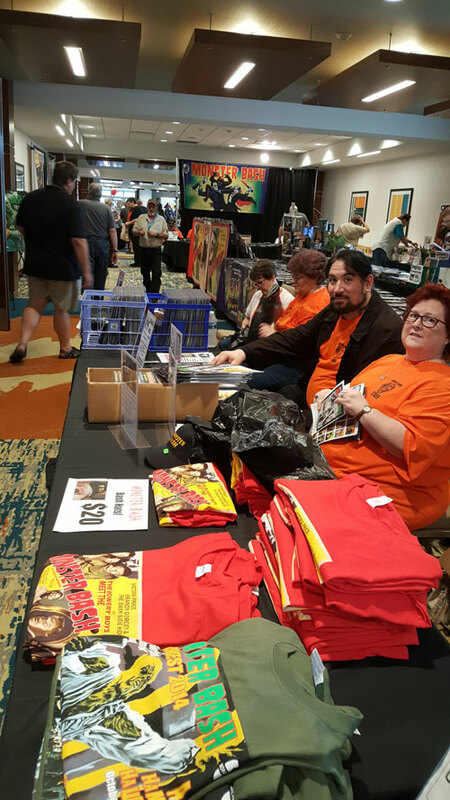 Shopppers at Creepy Classics (the financial sponsor of Monster Bash). 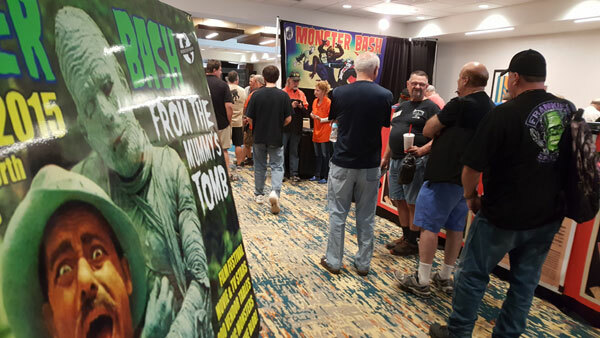 Past Monster Bash posters are displayed at Bash...and fans gather. 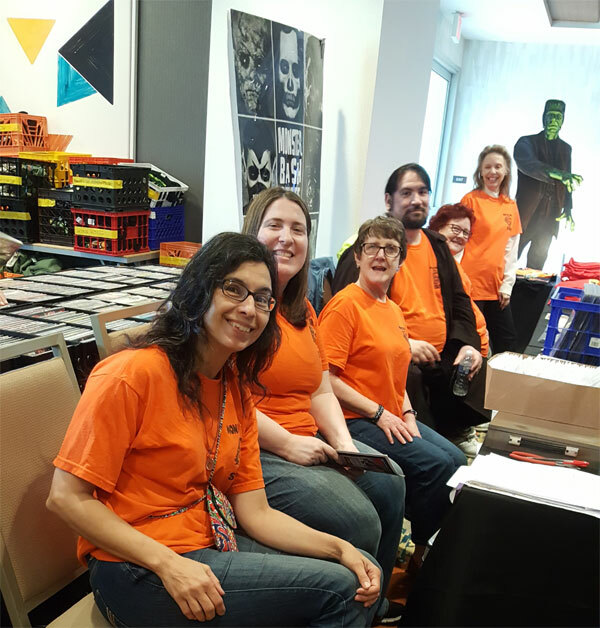 Just some of the great Monster Bash staff....at registration its Ursula Adams, Alice Rader, Susan Sherry, John Bishop, Mary Bishop and Pat Lisk. 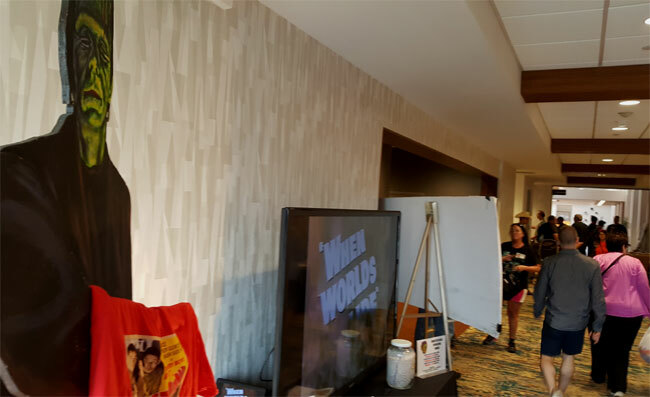 Entering the Guest of Honor and Dealer ballroom areas. 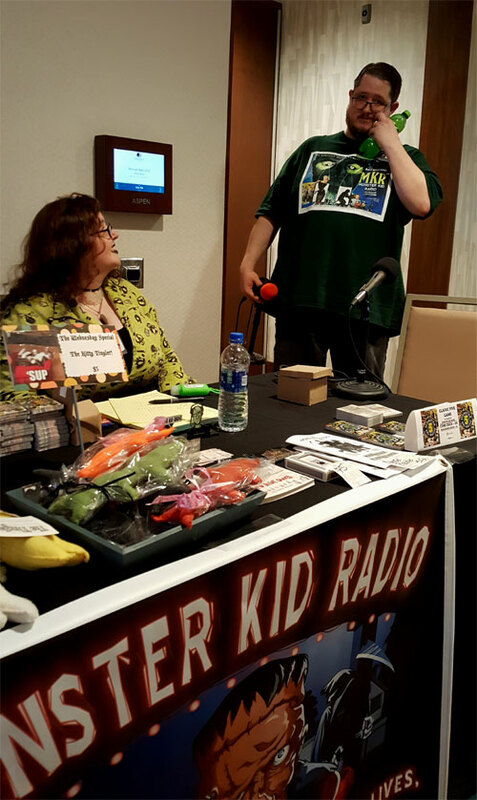 As soon as you hit the hallway leading to all of Monster Bash, Monster Kid Radio greets you with Derek Koch! Heading out to the hotel restaurant...its Big Frank and a jar with a waitimg abnormal brain on the table! 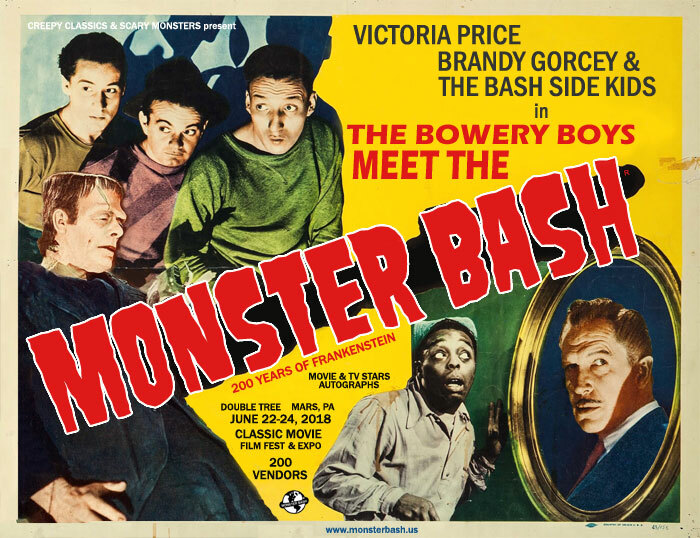 Get your Monster Bash t-shirts here. 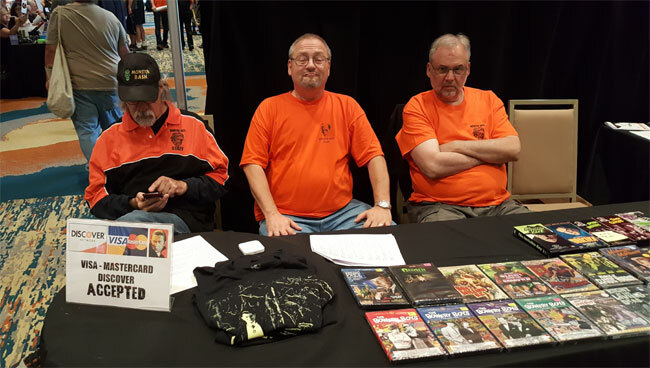 I can't figure out a caption for this, though it screams for one....a varirty of expressions from the nutty crew at the Creepy Classics check-out: Kevin Slick, Bob Pellegrino and Earl Lisk. A view down the Guest of Honor hall. 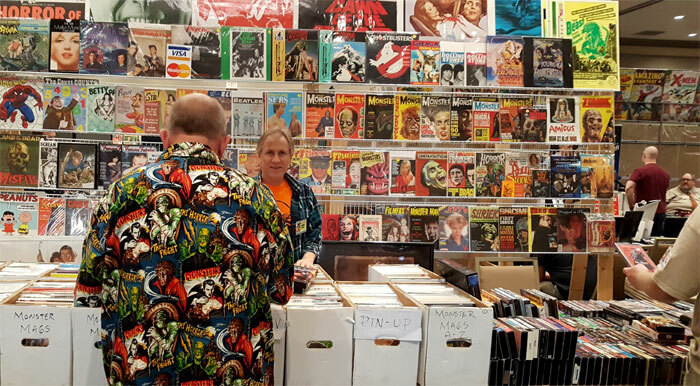 Michael Pierce of Monsters Among Us serves up the vintage monster mags that everyone wants! 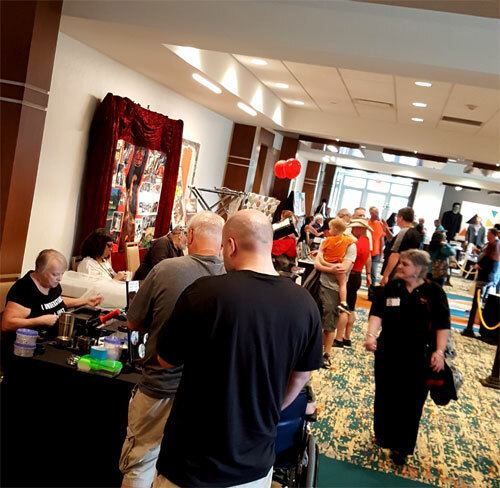 A glimpse from the dealer ballroom at Monster Bash. 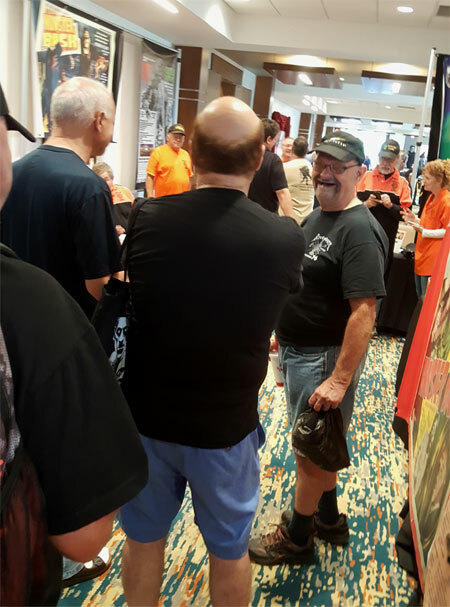 Norm Flam from The Toy Soldier Gallery, one of the many vendors at Monster Bash. 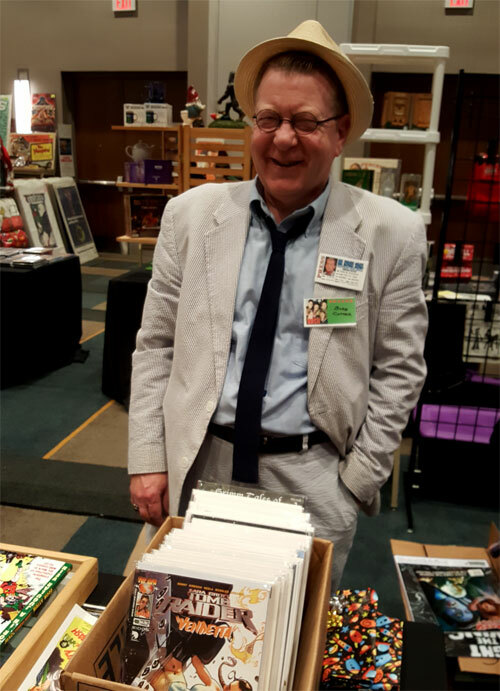 Our own Karl Kolchak, author Bobb "Roberto" Cotter at Monster Bash. 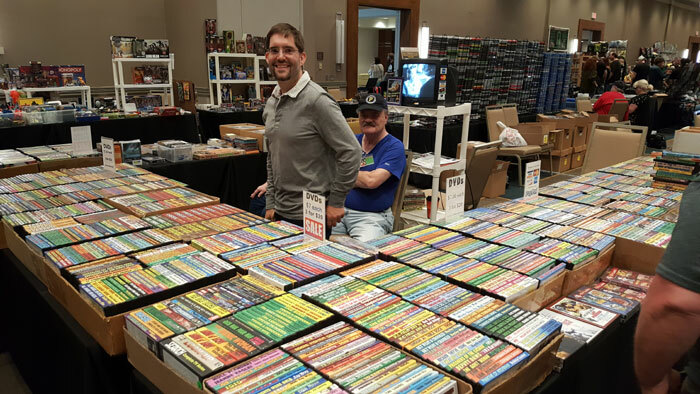 Martin Grams offers a few DVDs at his tables in the Monster Bash dealer ballroom! 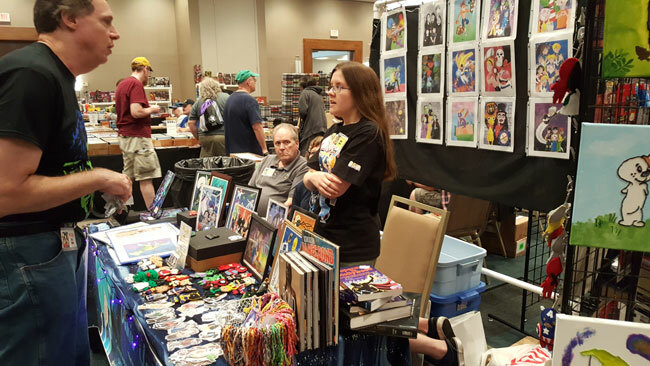 Artist Casey Knoll discusses comics at Monster Bash. 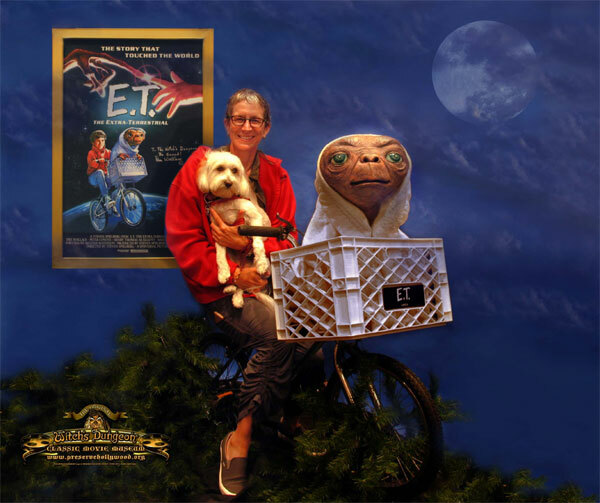 Vincent Price''s daughter and her dog Allie take a ride with E.T. 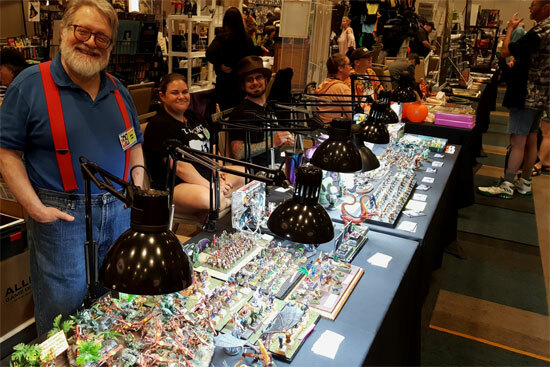 at Cortlandt Hull's The Witch's Dungeon display at Monster Bash! 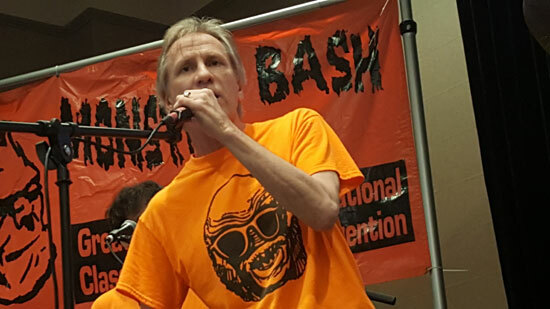 Vendor Michael Pierce sings with The Bash Boys house band on Friday night at Monster Bash . 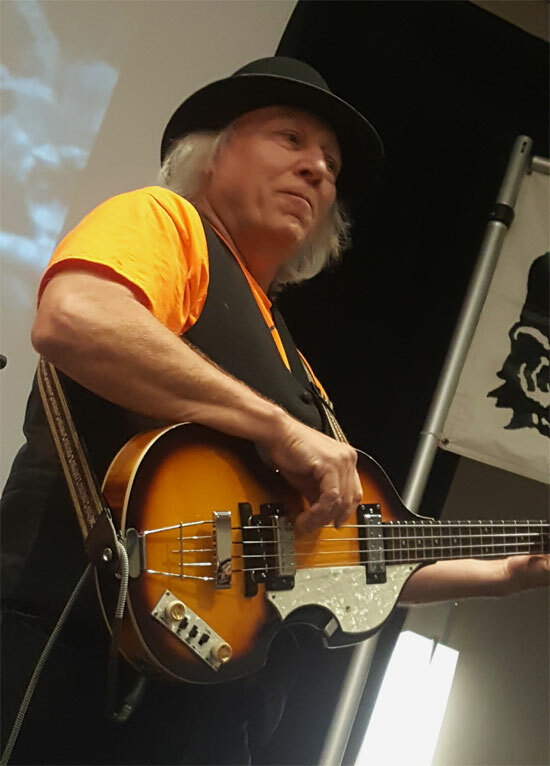 The horror house band, The Bash Boys...here's TV Horror Host Keven Scarpino (Son of Ghoul) playing his Beatle bass. 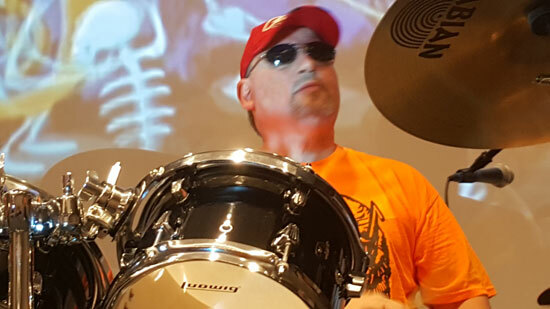 Bash Boys drummer, Bash staffer Bob Pellegrino! 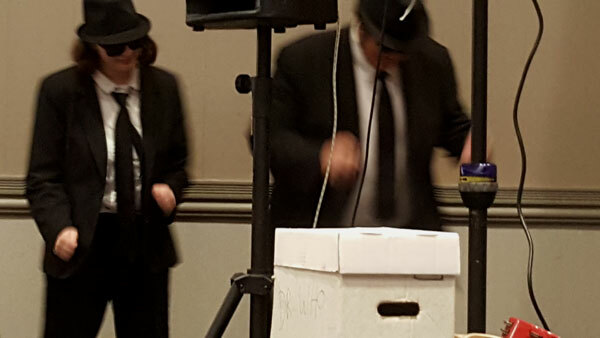 Rachel and Richard Sands groovin' at Monster Bash as The Blues Brothers. 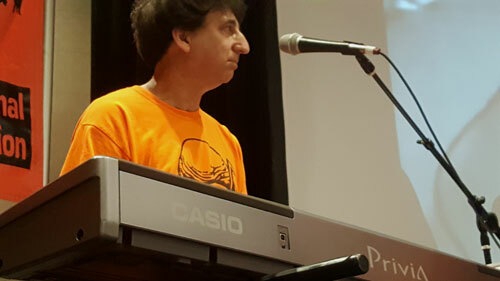 At the keys, it's T-Shirt vendor Steve Unger playing with The Bash Boys. 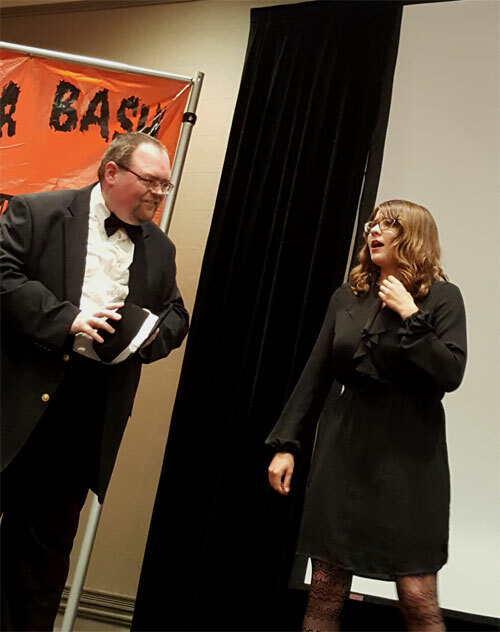 Thom Shubilla (as Sach) and Leonard Hayhurst (as Slip) ham it up with Paisley Adams in a mock-up of THE BOWERY BOYS MEET THE MONSTER BASH! Leonard and Paisley get devious on stage. 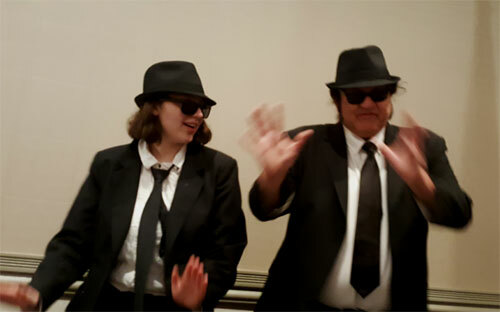 Another great photo of Rachel and her dad, Richard Sands as The Blues Brothers at Bash . 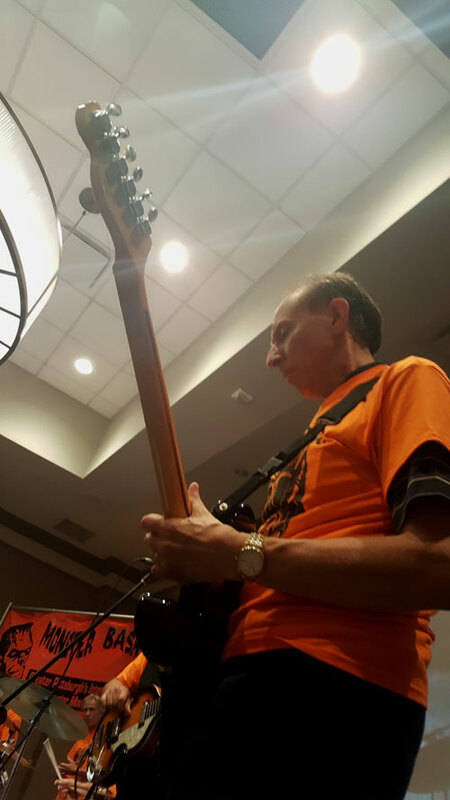 Rockin' in the spotlight, Steven Thornton tears it up on lead guitar with The Bash Boys! 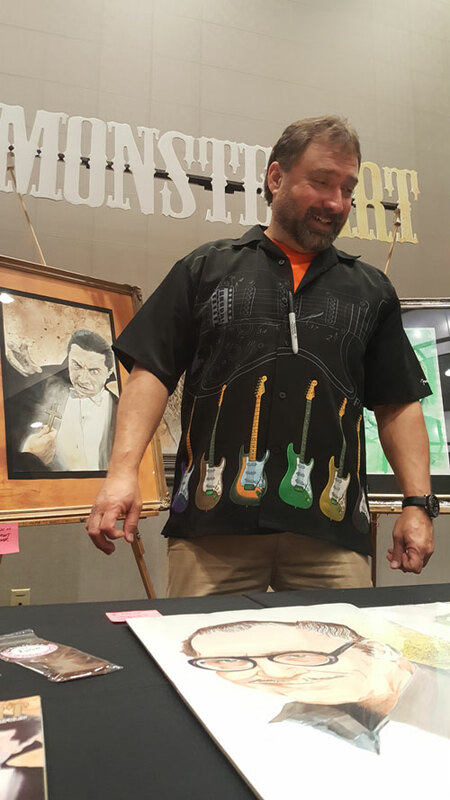 Artist and publisher of MONSTER-ART magazine, its John Sargent at Monster Bash. 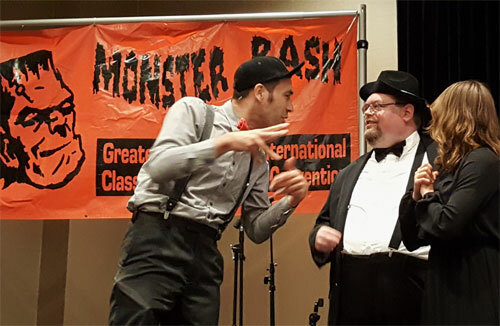 Giant ape and his "Fay," it's Joey Vento at Monster Bash. 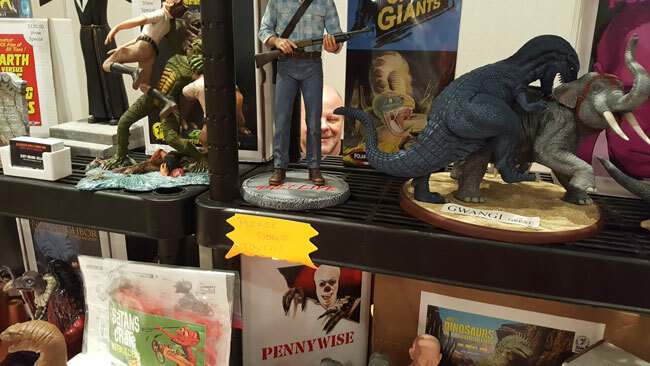 Somewhere behind all the awesome resin kis, is Alternative Images's Scott!. 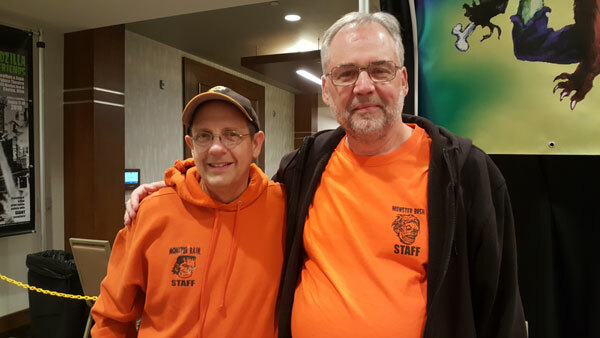 Buddies for over 20 years, Monster Bash's Ron Adams and Earl Lisk.